EPCOT at Disney World Reveals Location For Space-Themed Restaurant at Walt Disney World. Unlike previous rumors of the Space-themed restaurant to reside where the old Wonder's of Life Pavillion is now, Disney has stated the new Space-themed restaurant that was announced last year will be going in the space between Test Track and Mission Space. Currently, this is green space that is mostly in a backstage area of the park. The large windows will feature a virtual outer space, which will block the rest of the backstage area from guest's view. 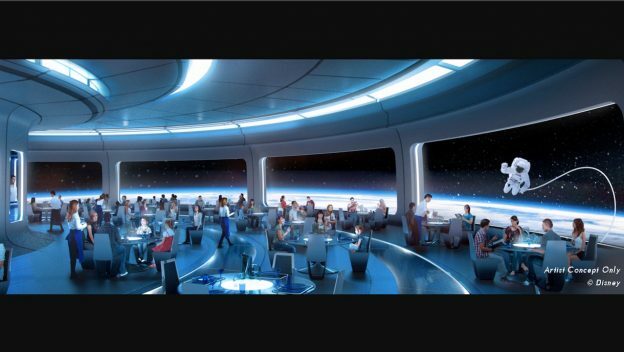 the restaurant will invite guests to travel to space for an amazing dining experience in the stars. The new restaurant will be operated by the Patina Restaurant Group, led by Nick Valenti, which operates several other restaurants around Walt Disney World Resort, including Tutto Italia and Via Napoli at Epcot and Morimoto Asia and Maria & Enzo’s Ristorante at Disney Springs. 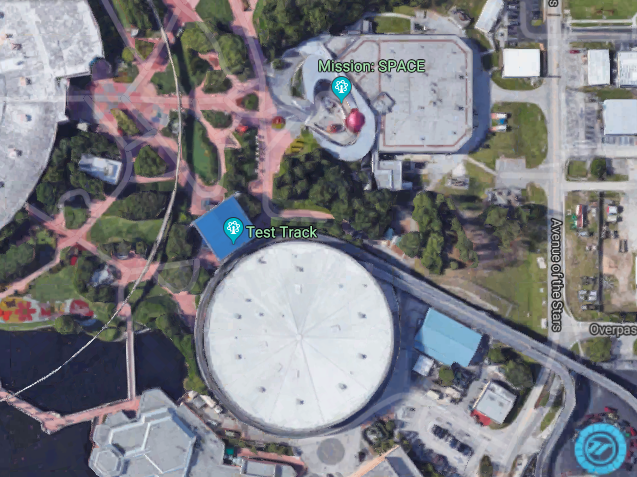 The location of the new restaurant will be in the green space and backstage area between Test Track and Mission:Space.